100% Organic, whole plant extract and MCT coconut oil. Heavy metal and pesticide FREE. 3rd party lab testing. 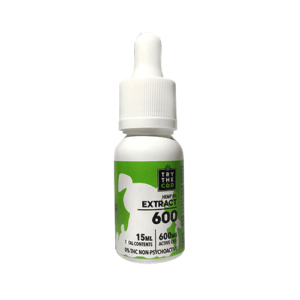 15ml bottle contains 600mg CBD. Highly concentrated. Contains about 300 drops, which is enough for one to two month for most pets depending on size.